ETA: The link up is now open! 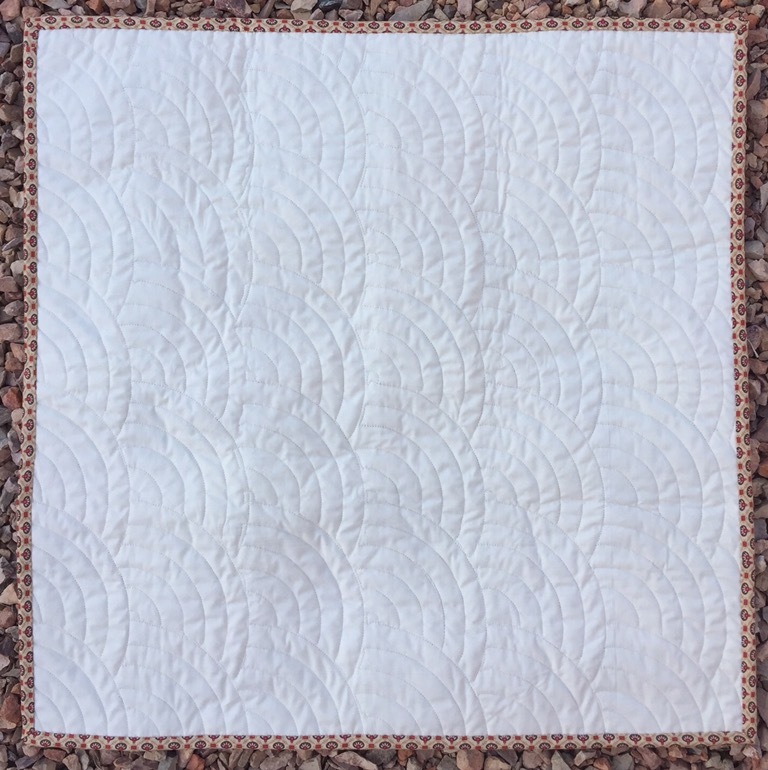 Hop on over to Humble Quilts to see all the beautiful finishes from this QAL! My first finish in Arizona! I have done a number of QALs hosted by Lori at Humble Quilts. I’ve enjoyed them all. This one was no exception! The binding was actually finished on the plane somewhere over New Mexico. These first pics are before washing. I love the texture that the quilting gave! 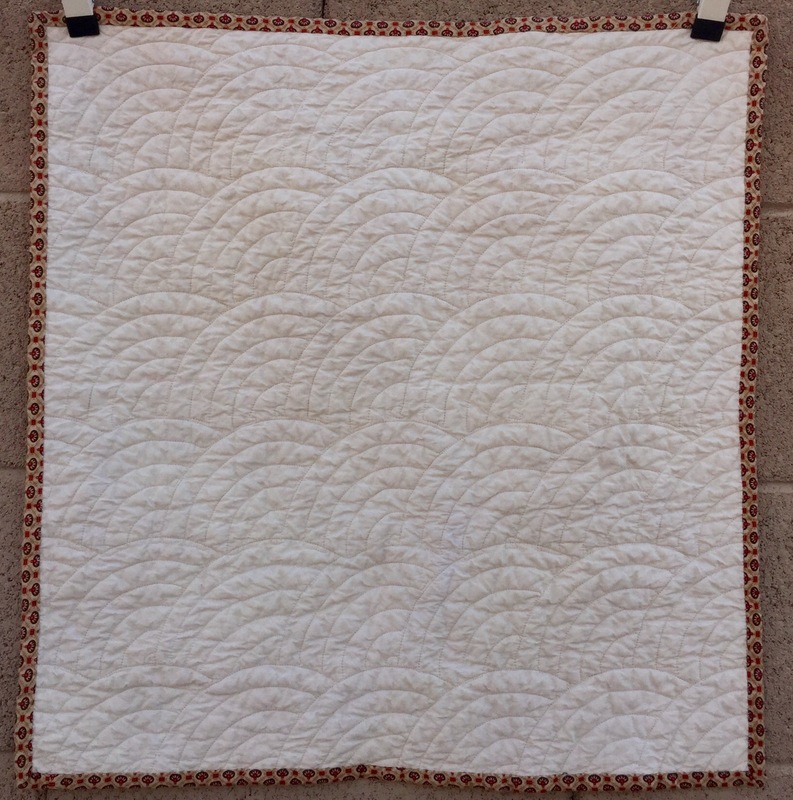 This entry was posted in Civil War Repro Quilts, Doll Quilts, Finishes, Uncategorized. Bookmark the permalink. I love it! The fan quilting is perfect and that binding fabric- wow! Love it! Just perfect!! I LOVE the Baptist fans quilting!! 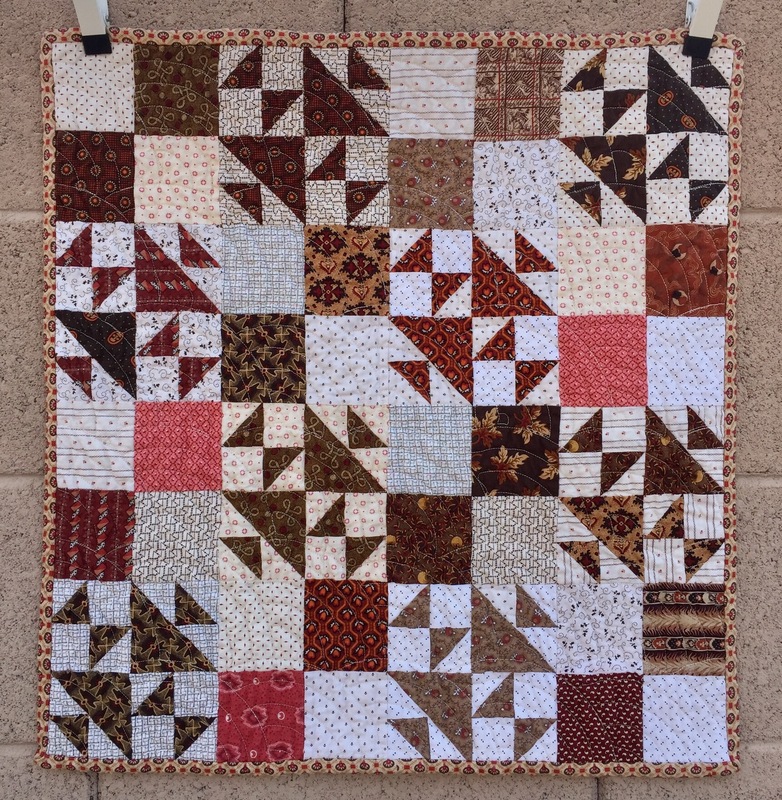 Love your blocks and the quilting! A beautiful finish! Love those madder reds! Wonderful finish – I’m still working on step 3. Yours looks beautiful! Love the Baptist Fan quilting. Lucky you, being in Arizona. I miss my Sonora Desert! This is lovely. 🙂 Congrats! 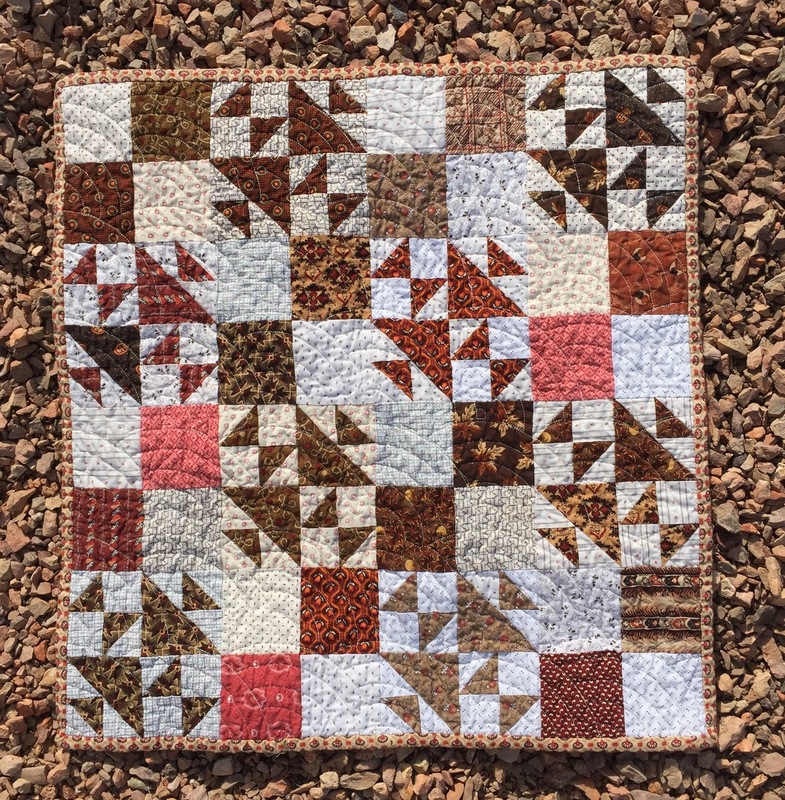 What a lovely quilt – and I’m both intrigued and wildly impressed that you sewed the binding down while flying! A lovely quilt! And the baptist fan quilting is perfect! It’s awesome, Katy!!! I’m glad to hear you made it to AZ safely. What a great finish Katy ! I am still plugging along on mine….”life” keeps interrupting, but it will get done! Lovely! Great use of time on the plane, too. Love those Baptist fans. It looks great, Katy! I need to get mine completed. Planned to work on it yesterday but lost my mojo this week. Maybe today! Another great finish! I hope all is going well for you in Arizona! Enjoy and have fun! What a beautiful finish. I love it after the wash. Beautiful!! and congrats on a AZ finish! Beautiful work as always. Glad for your blog so we can follow your adventures in AZ! 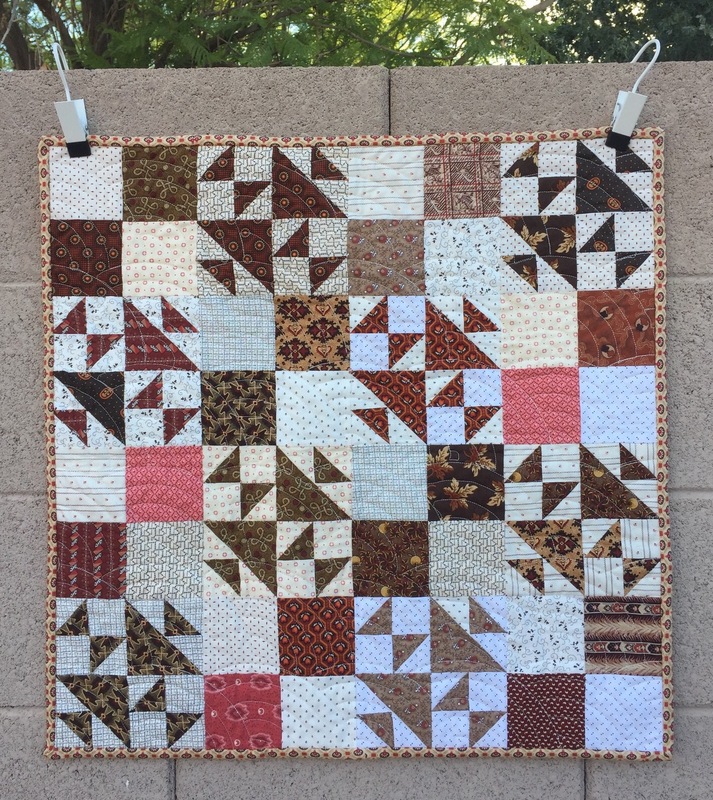 great finish and love the fan quilting!! It’s beautiful! Congrats on a wonderful finish! !